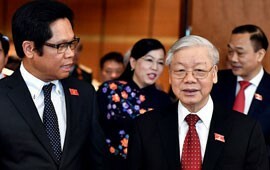 In the face of the wave of the Fourth Industrial Revolution (commonly known as Industry 4.0), while many Vietnamese businesses are still busy finding concepts, opportunities and challenges for businesses and workers to superstructure to move forward smart technology, such as artificial intelligence, internet of things, automation and robotics, Polyco Group is among a few Vietnamese companies to approach Industry 4.0 in the early days. Seeing numerous opportunities as well as challenges at the advent of Industry 4.0, to integrate with the megatrend, Polyco Group with the approach “business in school - school in business” has confidently ridden the wave or made a “shortcut” to this megatrend by maintaining its close relationship with East Asia University of Technology to train high-quality human resources and realise Industry 4.0 with scientific research developed and applied to factories in Vietnam. Particularly, the group gives priority to investing human resources training and development, developing core technologies and intensifying new industry applications to production models. Seeking solutions to high quality human resources, Polyco always attaches importance to the quality of human resources and adheres to its own chosen path, featured by highly applicable scientific research to practical production. 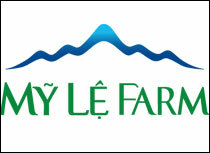 Therefore, hardly any other company in Vietnam has such a Duc Viet Technology Institute - Food Technology Research Institute and East Asia University of Technology. 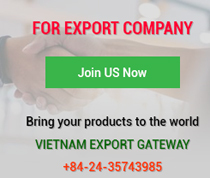 With its closed incubation model where ideas, wisdom and technology of Vietnamese scientists are nurtured, this place creates plenty of research applied to hundreds of production factories across the country. Polyco and East Asia University of Technology have also expanded their cooperation with domestic and foreign partners. 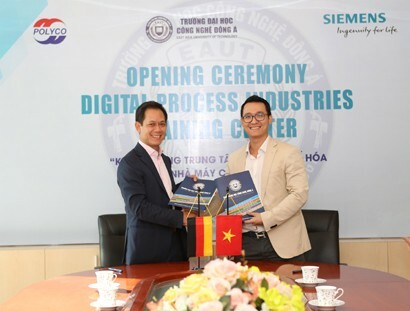 On November 16, 2017, Polyco Group, East Asia University of Technology and Siemens Group launched the Digital Process Industries Training Centre aimed to equip students, future engineers from industrial companies with practical knowledge and skills and update latest technologies to meet current digitisation needs. East Asia University of Technology has thus managed to narrow the gap between theory and practice, bring academic knowledge closer to social needs and provide the market with high-quality labour. 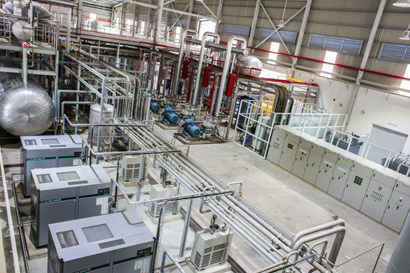 As a leading industrial corporation in Vietnam in the integration trend, Polyco Group rapidly embarked on deploying Industry 4.0 in the alcohol, beer and beverage industry. 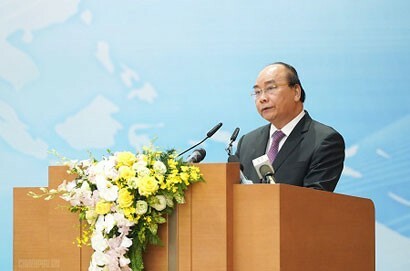 Dr Dinh Van Thanh, CEO of Polyco Group and Vice Rector of East Asia University of Technology, affirmed that Polyco Group invested and changed the status quo of current factories to smart ones powered by digitalised data and integrated with Enterprise Resource Planning (ERP), Manufacturing Execution System (MES), and Manufacturing Information System (MIS) according to international standards. And, East Asia University of Technology will supply well-trained human resources and engineers of automation, food technology, electrics - electronics, information technology and machine engineering. The close cooperation between Polyco Group and East Asia University of Technology will be the basis for the establishment of many smart plants in the Industry 4.0 trend. Polyco joined technological revolutions very early. And, when the current Industry 4.0 becomes a whirlwind that blows into all industries, Polyco and East Asia University of Technology are ready to match its pace. 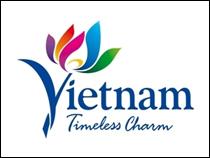 With ongoing efforts of all the staff, Polyco has created a brilliant interaction between science and technology with production and business, gradually applied Industry 4.0 to generate impressive economic effects, and contributed to the cause of the industrialisation and modernisation of the Vietnamese economy in early decades of the 21st century. 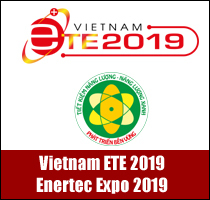 Dr Dinh Van Thanh said, “This project, also highly appreciated by the Ministry of Science and Technology, is being deployed to breweries of Sabeco and other beverage companies in order to improve quality, increase competitiveness and effectively connect production stages. 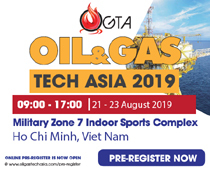 Particularly, optimising resources and utilising advantages of internet of things, big data and artificial intelligence focus on production management systems, enterprise resource planning and industrial automation platform to systemise production and meet strict market requirements. The smart brewery project developed by Polyco Group and East Asia University of Technology show their devotion to research and experiment in the Industry 4.0 era. Industry 4.0 is globally affecting industry in many nations and sending a strong message to all “manufacturing, management and administration systems” of every enterprise. That forecast has been received actively and confidently by Polyco Group with its scientific research and development projects to actualise Industry 4.0 with its high-quality human resources and smart factories.